Welcome to the Garlic Capital of the World! Located at the southernmost edge of Santa Clara County and Silicon Valley, Gilroy originated as a farming community that has grown into a substantial commuter town for Silicon Valley employees. 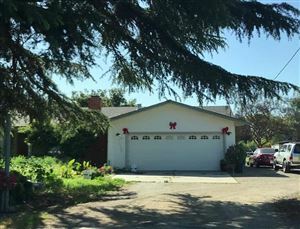 With a population of approximately 52,000 Gilroy has many new home communities in town as well as homes located on acreage in its outer perimeter and unincorporated areas. Home to Gavilan Community College, we even have our own local college in a sprawling country setting. Like to shop? We have the Gilroy Premium Outlets. Looking for somewhere entertaining to take the kids? Try Gilroy Gardens, our very own amusement park. Ready to do some wine tasting? We have plenty of wonderful wineries and tasting rooms to visit. There is so much to do in this wonderful community! Want more information or just have a question about Gilroy or local housing? Reach out and contact me via email, text, or pick up the phone and give me a call - I am always happy to share what I know! © 2019 MLSListings Inc. All rights reserved. Updated Apr 24, 2019 9:07:am. Information deemed to be reliable but not guaranteed. The data relating to real estate for sale on this website comes in part from the Internet Data Exchange Program of the MLSListingsTM MLS.